An increase in the amount of train changes commuters will need to make, even for short trips. This increases travel time & is a major inconvenience for comutters such as less mobile people, students and families with young children. To put this in perspective, a 1.5 hour train trip could result from what is the equivalent of a 45 minute car journey. 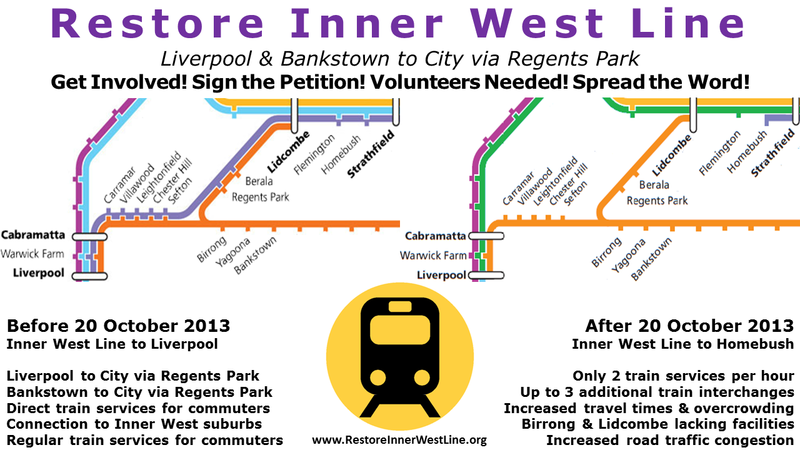 This increases traffic congestion, pollution as well as overcrowding at Lidcombe station and city bound trains on the Western/South lines. See our Presentation (PDF) from our first Community Action Group Meeting for more information.